Five elements. Four friends. One city and its sinister shadow. When Gabe Conway and his friends find a strange old map in his uncle's office and follow it to a crumbling secret chamber beneath San Francisco, they think they re just having one last adventure before Gabe moves away. They don t expect to end up bound to the magic of the elements, or to set off a chain of events that none of them can explain. But they re about to get more of an adventure than they bargained for. 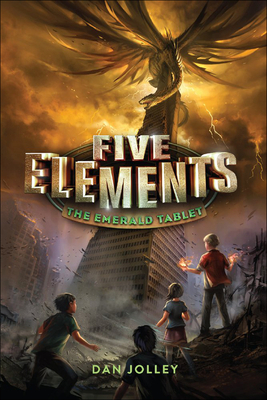 A power-hungry cult is plotting to merge our world with a twisted parallel realm and now it's up to Gabe, his friends, and their new elemental powers to save San Francisco from utter destruction.